Pontius Pilate seemed baffled as Joseph of Arimathea came to him and ask to take away the crucified body of Christ. “What do you want with his dead body?” Pilate ask. 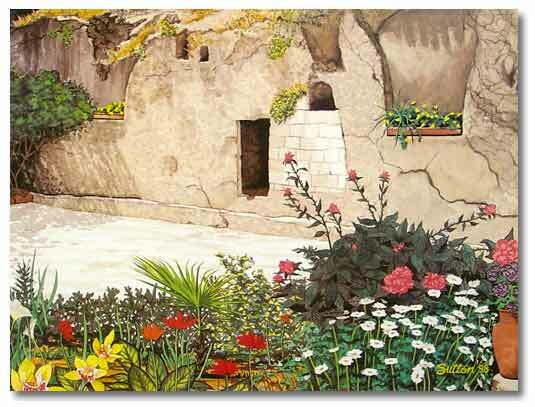 “I want to lay the body of Jesus into my own newly carved out tomb” Joseph replied. “But why”? “You are a very old man, and it takes years to carve out another tomb. You may not have enough years left and you are willing to give up your tomb?” “Don’t worry Joseph of Arimathea replied, He only needs it for the weekend”. Probably not the way the conversation went down on that day of the crucifixion. I believe that Joseph of Arimathea knew in his heart that Christ would rise on the third day as prophesied by Jesus to His disciples. Even if he did not fully comprehend the things that had happened, the ministry and the first coming of Christ and His brutal death on the cross. Something changed him. Joseph had become a believer. Just as Nicodemus who came to Jesus by night, became a follower of Christ, so also Joseph of Arimathea became convinced that Jesus was the promised Messiah. Both Nicodemus and Arimathea who were well-respected Pharisees became born again. The impact of Jesus on their lives transformed these two men. They would never be the same. Jesus died for the sin of the world, He rose and defeated death to give those who believe in Him forgiveness and eternal life. The Christian faith hinges on the resurrection of Jesus, if the resurrection did not occur, the Christian faith is empty. Paul addresses the death and the resurrection of Christ in 1 Corinthians 15. There were those who denied the resurrection and Paul writes about the importance of the resurrection and what it means to the Christian faith. Christianity without the resurrection is dead. Paul said if Christ was not who He said He is, than we are still in our sins and the most pitiable people. Many unbelievers have tried to disprove the resurrection and failed miserably. They became believers in Christ. Do you believe that Jesus died on the cross for your sins? Do you believe that He rose and defeated death to give eternal life to those who believe? Have you ask Him for forgiveness and received Him in your heart? Jesus is the only way to the Father. He came to die for mankind to reconcile all of those who would believe to give them peace and eternal life. If you have not received Christ as your personal Lord and Savior, may I encourage you to look t least into the claims and promises of Jesus made? Don’t just listen to the media or the intellectuals, who think that they have all the answers. Seek Him for yourself. Seek and you will find. God does not want anybody to perish. How can you know that God loves you? Just look at the cross and you will know how much God loves you. He loves you so much that He gave His only begotten Son for you. Jesus transformed the lives of Nicodemus, Joseph, Paul and many others throughout the centuries. He wants to do the same for you. Open your heart and ask Him for forgiveness and receive Jesus by faith. He is the only One that can truly transform a person. Not just for a little while but for eternity. He is the way, the truth and the life. Thank you David. Have a blessed evening. Thank you my friend. Be blessed. Joseph of Arimathea’s fruit of Faith. because we believed in Him, in His Death, Resurrection and that He is coming again. Previous Previous post: Human Reasoning or God’s Standard’s? Next Next post: Can man orchestrate his own salvation?